With another season almost upon us and the U.S. Masters having produced a great winner in Danny Willett it seems the ideal time to say many thanks to all those who have booked with us for this year, which looks like being a great one for us all. I was out at Augusta last week and had a number of really great meetings with existing and future operators who deal with us and it was fantastic to hear great stories of demand being back to pre-2007/credit crunch days and if the price of tickets for the Masters via brokers were anything to go by, demand does certainly seem to have bounced back for golf at the highest level! 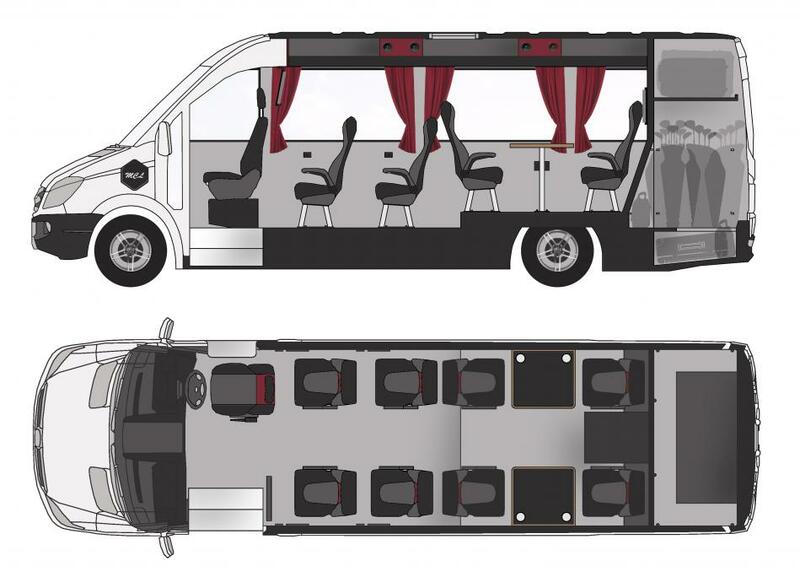 We have done some work to our fleet with skirts and new wheel trims throughout the existing Sprinters and with two new Sprinter 516`s due any day, we are looking forward to a wonderful season whether you are travelling with us in a luxury Mercedes Benz coach, Viano, E Class or S Class. We are delighted to have two “new faces” with us as driver/concierges - please look at Our Company tab www.mclaren-travel.com for details - and are looking forward to the 145th Open Championship here in our home town. The stand at the 18th is certainly imposing as you drive into Troon and Royal Troon will be a great test to match the course that Ben Hogan famously said he had “brought to its knees” at Oakmont for the U.S. Open in June. When I was out in Georgia last week I was reading the Centenary members book produced by the P.G.A. of America to commemorate that milestone and so the organization will be looking forward to an equally great event at Baltusrol in August followed by the Ryder Cup at Hazeltine. Closer to home we eagerly await the re-opening of Trump Turnberry in June where the course changes look spectacular and the re – invigorated hotel will no doubt boost golf on the Ayrshire coast. With changes to the means of getting Old Course, St. Andrews bookings from 2018 and even better visitor experiences at Muirfield, North Berwick, Prestwick and so many more the incentive for more and more to visit or come back to us here in Scotland is huge! Also not forgetting Ireland where Royal County Down and Ballybunion also seem to be back to halcyon days, so we are looking forward to working with you to make 2016 a great success.